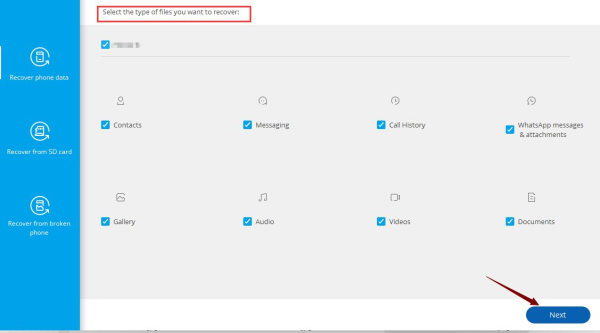 How to retrieve deleted numbers from Samsung phone? Restore contacts Samsung becomes easier if you have backup contact: Samsung contacts recovery without any tool; Samsung contacts recovery from Google Contacts. Restore contacts Samsung by Android Data Recovery without backup. Transfer contacts to the SIM card or another device to avoid losing next time. Usually I think it is useless but later I find that I actually need it, or sometimes I just want to delete the real trash contents in batches but I also delete the useful one by mistake. It is such an embarrassing and annoying moment. I think most of the people ever have the same experience as me, right? Has anyone like me accidentally deleted all the contacts in the mobile phone? If we have made a backup of the information, it would be okay, but what should we do without backup? Don't worry, there are many ways to get it back. Based on my practical experience, I have worked out many ways. If you are such a careless person as me, please follow me and see how to do it. You definitely will not be regret. Part 1: Samsung contacts recovery without any tool. Part 2: Samsung contacts recovery from Google Contacts. Part 3: Restore contacts Samsung by Android Data Recovery. Part 4: Transfer Contacts to the SIM Card or another Device. Step 1: Choose the Contacts on your home screen. Step 2: Click More on the top right of the screen. Step 3: Select Settings on the menu pull-down choice. Step 4: Tap Contacts to display in the display option. Step 5: Click the circle on the left of All Contacts. If you still cannot find the contacts you want after you measure following the steps above, you need to measure by using the following two methods to retrieve deleted numbers from Samsung phone. Before you execute this solution you need to make sure that your Samsung Galaxy synchronizes with your Google account, otherwise it will fail to work. And then execute according to the following guidance. Step 1: Open the Google Contacts. Step 2: Tap More on the top side of the interface. Step 3: Choose Restore Contacts on the pull-down menu. Step 4: Then the screen will pop up a small window and ask you to choose a time to recover. Select a time you want and then click Restore to begin the Samsung contacts recovery. What about those who have not made a backup of the deleted contacts? Is there any way to recover deleted contacts android without backup? I am so glad to tell the answer is yes. Don't worry. Let me tell you how to recover contacts from android. In this case, what you really need is an effective tool. 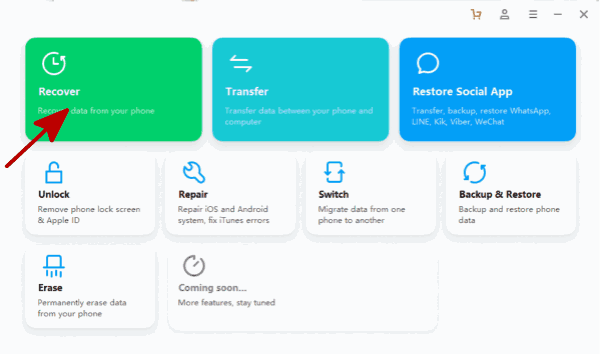 Here I really recommend you the Eelphone Android Data Recovery, which supports to restore contact Samsung S9 / S8 / Edge S7 / S7 / S6 / Note 8 / Note 7 / Note 5 / Note 4, Galaxy A9 / A7 / A5, including chat history, photos, videos, audios, etc. Android Data Recovery is an user-friendly Android data recovery program which can assist you directly scan the internal memory or memory card and retrieve the lost data from your Samsung Galaxy device without destroying the original data on your phone. retrieve deleted numbers from Samsung phone. To do the recovery you should follow the guidance introduced below. Note that when you have erased contacts from your Samsung phone, stop using the phone to capture any new data, otherwise it may overwrite the erased files and render them unrecoverable. 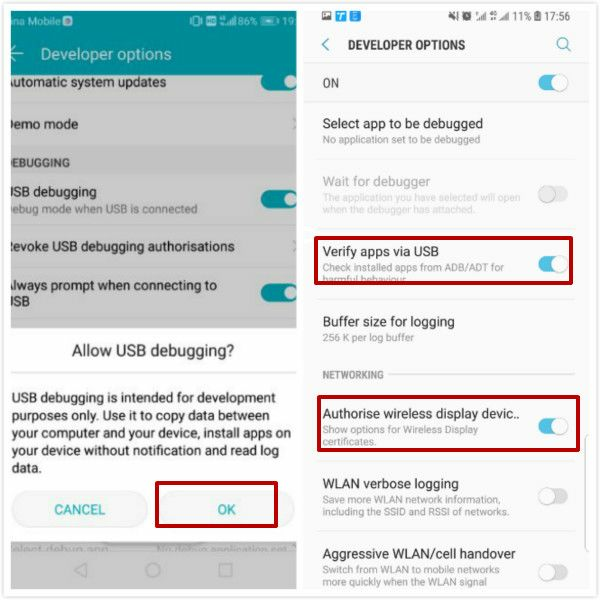 Step 1: Download and install the current Android Data Recovery on your computer. 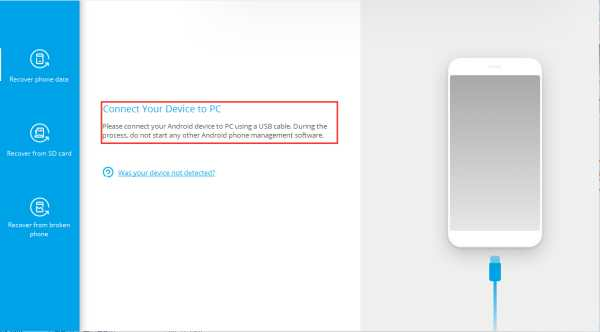 Launch the program and select the Recover option in the toolkits and connect your Samsung device to the PC. Step 2: There may pop up a window, in which you are required to allow USB debugging, just click on OK to move on. There might be a Super user authorization pop up on your device during the scan. If you get it, click Allow to continue. If not, just skip this step. 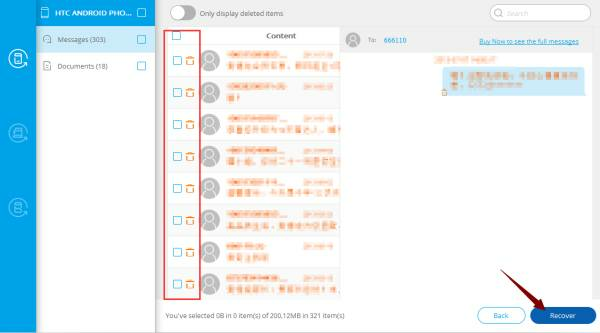 Step 3: As you can see, the screen will display different types of files in your Samsung phone. In this case, what you need to recover is the contacts, so you should choose the option of Contacts. Then click on Next to move on and start to scan. During this process ensure that your Samsung phone battery is more than 20%. If the scanning process becomes stuck, it implies that the auto rooting failed and you need to root the device manually. Step 4: Patiently wait for a couple of minutes until the scanning process finished, and then the program will display all of the contacts information of your phone which includes phone number and contact name. You need to spend some times to look through the contacts data to find out what you need or you can just easily choose all the contacts to recover. Do not forget to click on the Recover button to finish the recovery. In addition, e-mail will be saved as vCard on your computer which you can send back to your Samsung device at any time. Although the recovery steps have been finished, I also want to give you a reminder to avoid the contacts of your Samsung device being deleted by mistake again. I suggest that you should transfer the current contacts to your SIM card or other devices to backup. Case 1: If you are used to storing your phone numbers in the internal memory, you would better to export them to your current SIM card. Step 1: Choose Contacts on your Samsung Galaxy phone and click on the menu button or the More button above the screen. Step 2: Click on the options as follow turn by turn: Settings > Import / Export contacts > Export to SIM card. Then select the contacts you want to transfer and click OK. If you do not want the contact list be displayed again, you can set the SIM card stealth invisible. Case 2: if you have a free phone, it is a good choice to backup contacts in it. Step 1: In this case, the first step is the same as case one. Go to Contacts and click the following options in turn: Settings > Import / Export contacts > Export to SIM card, and then select the directory to save the contacts (vCard file). Step 2: Copy the vCard file to your free phone. Then go to Contacts and click Import contacts in the same step. The free phone will automatically search for the vCard file in the internal storage to restore it.